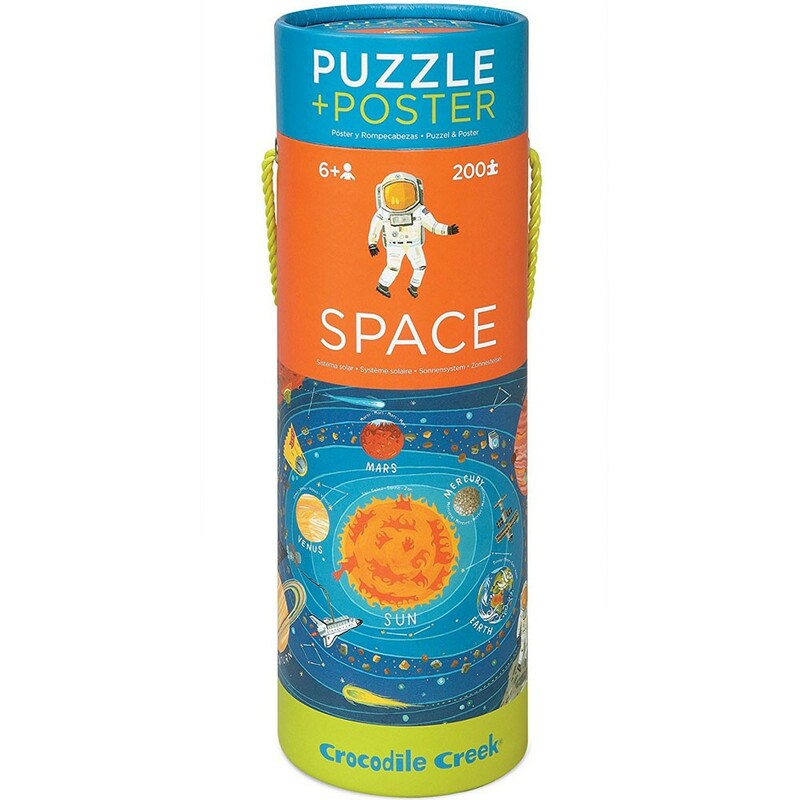 Fill your room with planets, stars, constellations, space ships and more with this challenging 200 pc Space Puzzle and wall poster set by Crocodile Creek! 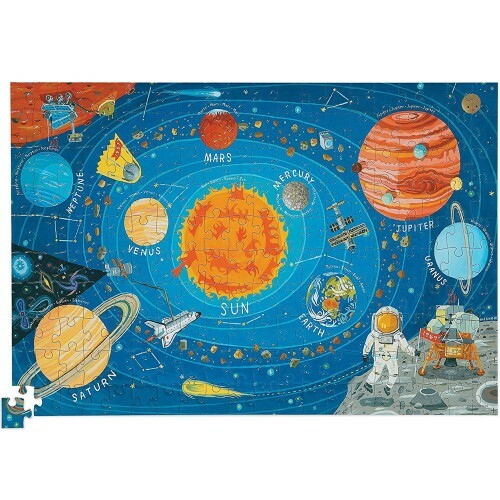 This kids jigsaw looks out-of-the-world with its beautifully detailed illustrations of the planets, asteroids, constellations, spaceships, and astronauts. Space 200 pc Puzzle & Poster Set by Crocodile Creek is a floor puzzle with great illustrations, attractive design and superb quality. 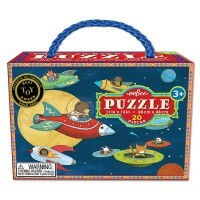 The space theme puzzle comes with 200 durable cardboard jigsaw pieces to recreate busy Earth orbit in your playroom. 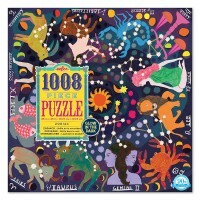 This puzzle set shows not only the planets of the solar system, but their names, too. 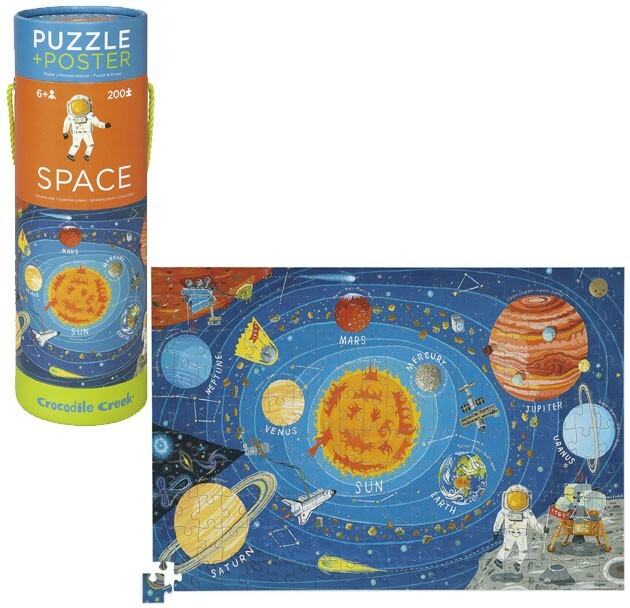 This space themed puzzle set includes a 16 x 24 inches poster that assist kids in assembling the challenging puzzle and can be hung as a room decorative piece. 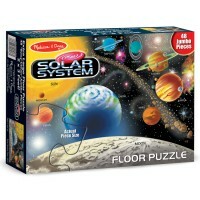 The solar system puzzle is neatly packed in a gift canister with a carrying handle. 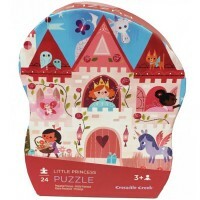 The finished space puzzle for children measures 13 x 19 inches. 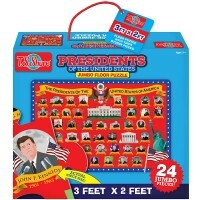 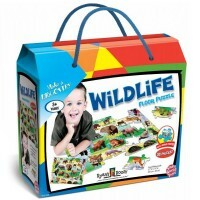 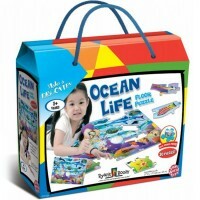 This smart puzzle set from Educational Toys Planet is a great way to become a pretend astronaut and have puzzling fun! 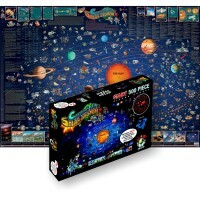 Dimensions of package 19" x 13" x 0.2"
Write your own review of Space 200 pc Puzzle & Poster Set.